Despite our best efforts as pet parents, sometimes our pets need to go to the vet. 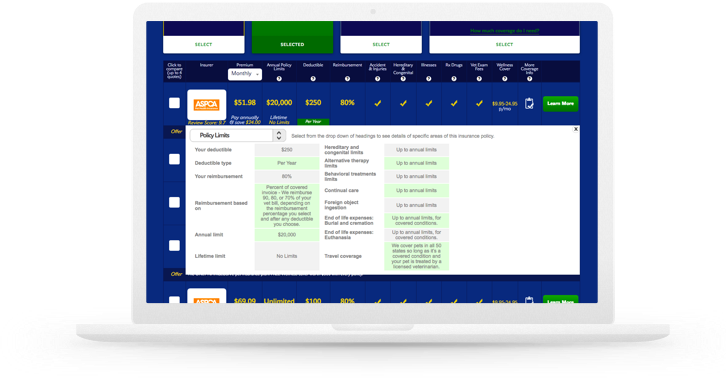 We’re going to focus in greater detail on what a typical pet insurance plan covers, so you can understand what pet insurance is, what it covers and then be sure that your money is being invested for good reason. Pets get in accidents. We know that of course, but did you know that according to a recent study, 6.6 million cats and dogs in the USA were killed in just one year after being involved in an accident with a vehicle? 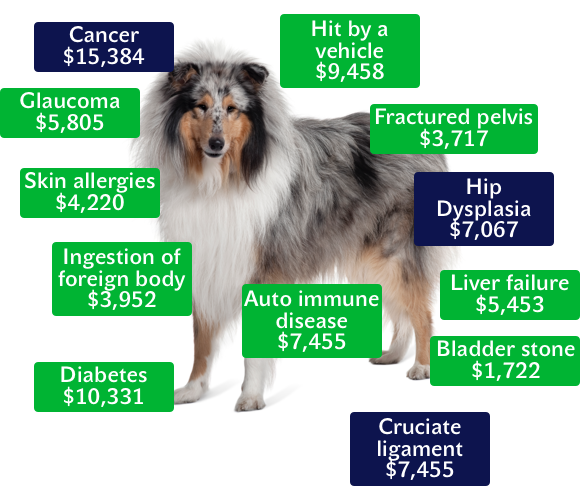 A typical cost for pet treatment after they’ve been hit by a vehicle and need surgery is over $9,000. Of course, when our pets are outside, or inside for that matter, they eat stuff they shouldn’t. 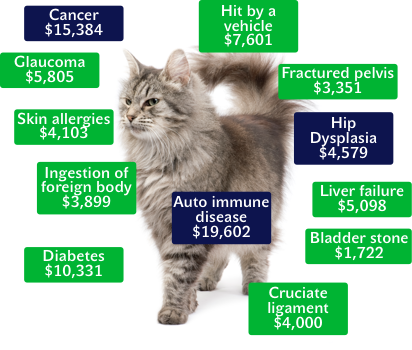 Sometimes our pets need to go to the vet to be treated for this, and as you can see below, can be really expensive, especially if your pet was poisoned. Maybe you have a pet that likes to chase bunnies and squirrels while he’s outside. What if he injures himself and needs surgery? Typically, knee surgery can cost well over $5,000 to repair and that’s before the exam and x-ray fees, which can easily add on another $1,000 at least. Another really common reason for taking our pet to the vet is for when they’ve chewed up their favorite toy or your sock (or your favorite Apple computer mouse – this seriously happened to us) and need their stomach pumped. Again, this can run into many thousands of dollars. 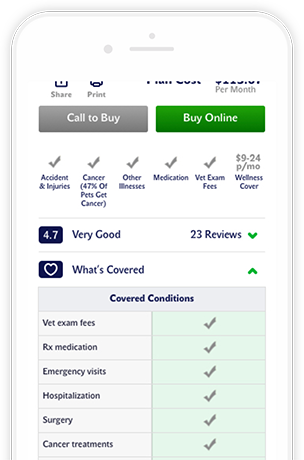 All of the above conditions are examples of what’s included in every pet insurance plan that you’ll find on PetInsurer.com. These all fall under the Accident heading, and so, when you buy an insurance plan, from any provider on our website, you can be sure that should your pet get a bit over excited while he’s playing, or suffer the trauma of being involved in an accident, then you can still give him the best possible coverage as you were wise and took out insurance for him. If you own a Labrador Retriever or a Golden Retriever then you probably know your dog is susceptible to both hip dysplasia and cruciate ligament issues. At PetInsurer.com, we have 3 Retrievers and 2 of them needed surgery for cruciate ligament issues in 12 months, at a cost of over $17,000. Eye Trauma is another reason we take our pets to the vet. Dogs tend to lead with their eyes, and cats love to scratch them. Maybe your pet will be lucky and escape with a scratched cornea but if he suffers a perforation or rupture then this will be really expensive. Back issues and lameness are common in some smaller dogs with long backs. 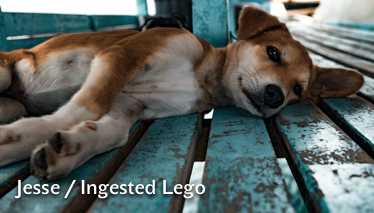 Breeds such as Corgis, Basset Hounds and Dachsunds can suffer from this, particularly when jumping down from a sofa or bed. If your pet gets bitten by a dog then there’s every chance the wound is going to get infected. He’ll also likely need stitches and medication. You can be out of pocket up to $2,000 if this happens. Just as it is for humans, cancer is a huge deal for pets as well. The latest studies show that 47% of our pets will get cancer at some point in their lifetime. 47%. That’s nearly 1 in 2 pets that will need to go to the vet and have blood work, MRI scans, medication and chemotherapy. If you’re lucky the cost can be as little as $5,000 but if you’re unlucky the cost can easily exceed $25,000. 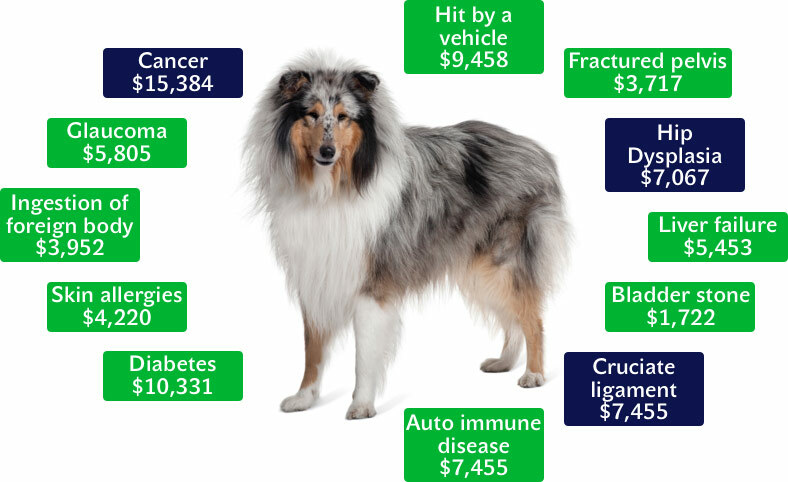 The average cost for cancer treatment for pets is $15,300. 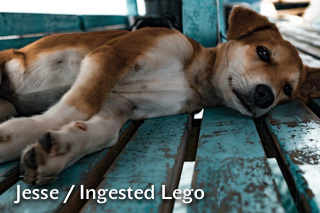 Of course, diabetes is also common in pets too, particularly when they reach 5 years old or more. It varies across breeds but some breeds are particularly prone to diabetes include Poodles, Pugs, Dachsunds and Bichon Frises. The costs vary according to how frequent shots need to be, how often you’ll need to revisit the vet and how much Insulin your pet will need, but you can bet on $100 at least per vet visit, plus another $100 at least for treatment per month. Other common types of illness in pets include epileptic fits, allergies (especially in the summer), ear infections and urinary tract infections. None of these conditions will cost less than $1,000 if they're serious. 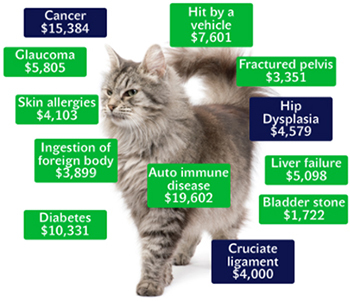 All of the examples above, and many more – bronchitis, kidney stones, bladder infections, kidney disease, bloody vomiting and diarrhea, collapsed trachea and way more, are covered with many of the pet insurance policies you’ll find when you compare pet insurance plans on PetInsurer.com. You can see a full list of what’s covered in each of the results on our quote page. Additionally, you’ll also see what isn’t covered by each insurer too. As pet parents ourselves, we have claimed many times on our pet insurance policies, we know the value of pet insurance. We all love our pets and for the sakes of a relatively small monthly payment, doesn’t it make sense to protect your pet too?